ALLEGRA BOVERMAN/Staff photo. Gloucester Daily Times. 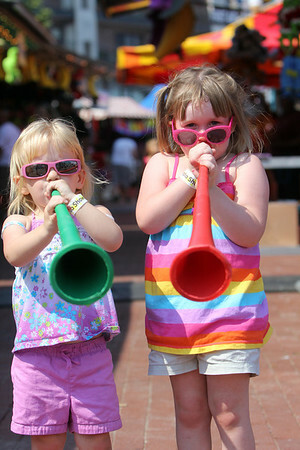 Gloucester: From left, sisters Madison Lord, 3, and Olivia Lord, 5, both of Gloucester, make some noise at the carnival at Fiesta on Friday afternoon.